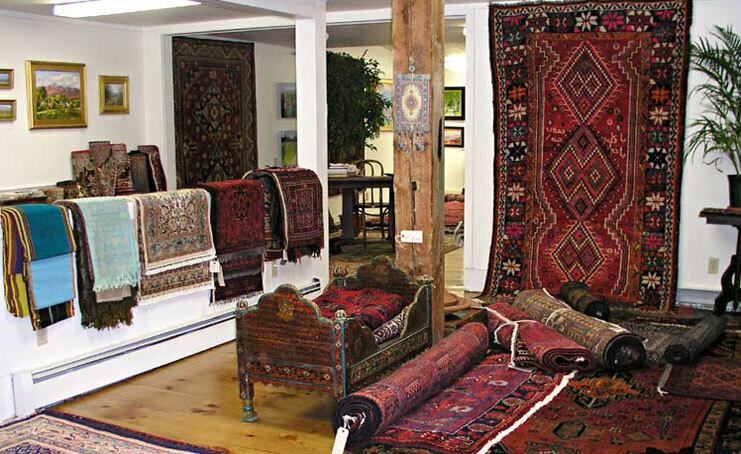 Tribals, Rugs by Hand is a family-owned rug shop located in Depot Sqare in Peterborough, New Hampshire. Wanting to share her fascination and passion for these pieces of art, which are made entirely by hand in places like Persia, Afghanistan, Turkmenistan, Tajikistan and Turkey, owner Michaela Chelminski says "it's a big pleasure for me to have customers come in to look at the rugs and leave with a purchase that they thought they could never afford." Tribal and village rugs originate in the Middle East and the Caucasus - one of the most linguistically and culturally diverse regions on Earth. The people of this region - Turkmen, Afghans, Baloch and others - have produced stunning tribal rugs for centuries amidst some of the greatest political strife in the world. Natives have been invaded and persecuted by warring tribes and hostile neighbors, and yet have maintained the core components of their heritage and art - soulful tribal motifs woven in vivid color into beautifully hand-crafted village, tribal and oriental rugs.